Exiled for horrific dark side experiments, a group of Dark Jedi made a last stand against the Jedi Order on Corbos, where they were ultimately defeated. The survivors fled beyond the borders of Republic space and, seeking a refuge, they discovered the planet Korriban--home to the red-skinned Sith species. The Sith looked on the Dark Jedi's Force abilities with awe, and worshipped them as gods. Led by the fabled warrior and tactician Ajunta Pall, the Dark Jedi began forging the Sith into a glorious civilization, built on the principles they had established after breaking with the Jedi Order. They ordered the construction of great monuments on Korriban--vast cities that did not survive the ages, glorious temples and elaborate tombs. As time passed, the Dark Jedi and the Sith species intermarried, until there were few true purebloods remaining. Eventually, there were only small physical differences between them. There were only the Sith, strong in the dark side of the Force, and their new Sith Empire. 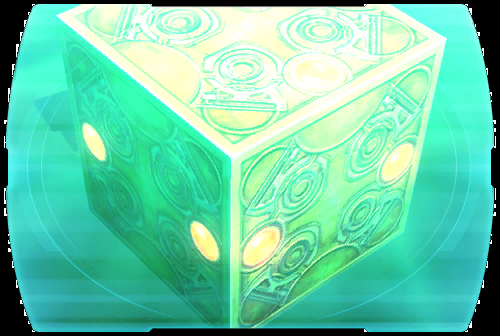 The Republic had enjoyed a long period of peace during the Manderon Period, but the Koros system was rapidly becoming a problem. Although the planet Koros Major was stable, growing wealthy on carbonite exports, the other six worlds of the system were poor and increasingly lawless. The task of uniting the Koros system was accepted by a noble famed for her military achievements. Empress Teta was the heir to Koros Major and was determined that the rest of the Koros system would share its prosperity. To that end, Teta began the Unification Wars, hoping to bring the entire system under her rule. She was ultimately successful, though she had to fight a long and bloody campaign to conquer the planet Kirrek. Empress Teta would become known as one of the Republic's boldest commanders. The Koros system was eventually renamed after her. As the Sith Empire grew in power, few Sith inspired such fear as Marka Ragnos, a tyrant who ruled for a century. His death created a power vacuum, leaving the Sith Lords Ludo Kressh and Naga Sadow vying for supremacy. During Marka Ragnos's funeral on Korriban, Sadow and Kressh fought a duel, each claiming he was more fit to be Dark Lord of the Sith--the then-unique title of the Empire's ultimate ruler. But the spirit of Ragnos himself appeared, claiming a golden age of the Sith was coming. Moments later, the funeral assembly was alerted: A Republic ship had been captured. The ship belonged to two hyperspace explorers, the siblings Gav and Jori Daragon, who had stumbled on Korriban. As the Sith Council debated the Daragons' fate, Naga Sadow saw opportunity. The hyperspace routes leading to the Republic had been lost; the Daragons were his chance to rediscover them. For years, the Sith Lord Naga Sadow had been arguing unsuccessfully that the Sith Empire needed to expand. His chance came when Gav and Jori Daragon, two hyperspace explorers, accidentally discovered Korriban. With the Daragons sentenced to death, Sadow helped them escape, planning to use them to rediscover the hyperspace routes to the Republic. He then claimed to the Sith Council that Republic agents had freed the prisoners. Surely invasion was imminent? Naga Sadow's rival, Ludo Kressh, grew suspicious. As Sadow began to train Gav Daragon as his protege, Kressh raised a force against Sadow, hoping to expose his treachery. But Sadow crushed Kressh's armies and declared himself Dark Lord of the Sith. In the confusion of the battle, Jori Daragon fled back to the Republic, not realizing her ship carried a homing beacon for the Sith to follow. The Sith had never forgotten their first exile from Republic space. With a trail unwittingly laid by the hyperspace explorer Jori Daragon, Sith Lord Naga Sadow saw a chance for revenge and to expand the borders of the Sith Empire. He had tricked the Sith Council into believing the Republic was about to attack and united several Sith factions into a massive invasion fleet. Meanwhile, Jori Daragon had done her best to warn the Republic of an impending Sith invasion, but only the warlord Empress Teta believed her. Teta was still gathering her armies when Sadow's entire fleet arrived in the Koros system and opened fire. Jedi and Republic forces rallied quickly, but strengthened by Sith sorcery, Sadow's attacks were unpredictable and devastating. The conflict quickly spread throughout the galaxy, until even Coruscant was threatened. The Great Hyperspace War became the first conflict on a truly galactic scale. Taris was once a city-world like Coruscant. Three centuries ago, however, it was bombarded by the Sith Lord Darth Malak and left a toxic ruin. The years since have not been kind to Taris, as vegetation and animal life struggle to gain a foothold in the shattered skeleton of a planetary metropolis. The Republic began to recolonize Taris less than a decade ago, and has suffered innumerable setbacks--everything from pirate attacks to the strange "rakghoul plague". Nonetheless, the reconstruction effort continues, its proponents determined to prove that the Empire can never truly destroy greatness.